After releasing 11 studio albums in 9 years — not to mention various singles, compilation tracks, non-album b-sides, live EPs and gods knows what else — Elvis Costello did something that was unthinkable: he took three years between albums. 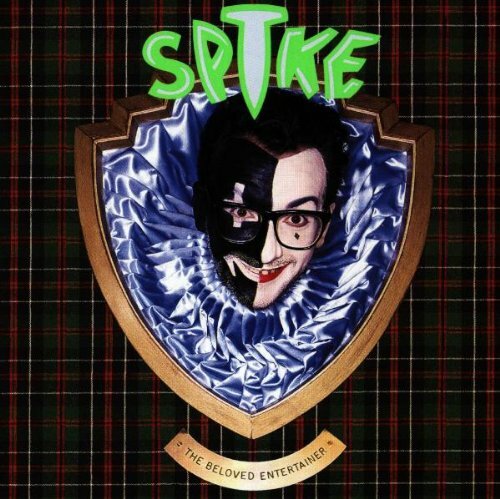 Even at the time, it was clear that the early, funny phase of his career was over, as both the time off, the new label and the actual sound of Spike were dead giveaways that Elvis Costello wanted to continue to expand his music. So Spike wasn’t just his most varied album since Trust, it was the most varied album of his career to date: recorded from Dublin to Hollywood, including songs co-written w/ Paul McCartney and featuring everything from showtunes about comics to rockabilly songs about his wife, Spike was the sound of that three-year wait scattering every which way from your speakers. A perfect example was “Deep Dark Truthful Mirror,” recorded in New Orleans, featuring Alan Toussaint on piano and the Dirty Dozen Brass Band providing solace on the verses and then exploding on the chorus. The drums were there, but more for color than for rhythm, but there was no bass or organ, and it certainly wasn’t a pop song. you could picture not just the object of Elvis’s scorn looking in that mirror, but also Elvis. And you. And nobody liking what they actually see.